whenever you hear jazz pianists on radio, over your car speakers, or even at a club , do you ask yourself, Why do they do this? at least I do..unless they happen to be Onaje Allan Gumbs. a New York native who embraces all there is to jazz and more. The reason I asked that question is, some of today’s musicians are just faxing it in. While resting on the laurels of having studied jazz at a respected school , many still don’t get it, it’s not yielding any new classic composers/arrangers. That makes for very dull radio, Festivals and concerts…That’s why I’ve been a fan of Allan’s since his early days with Norman Connors and Woody Shaw. I especially admire his horn & voice arrangements on classics like “Betcha By Golly Wow-Phyllis Hyman, Rosewood with trumpeter Woody Shaw and Stanley Jordan’s “Lady in my Life” . my favorite classic is Saturday Night Special by Norman Connors featuring Jean Carne, where O.A.G. conducted and arranged many of the cuts on that album. Onaje is currently playing in a “Zone” where only the great ones gather. 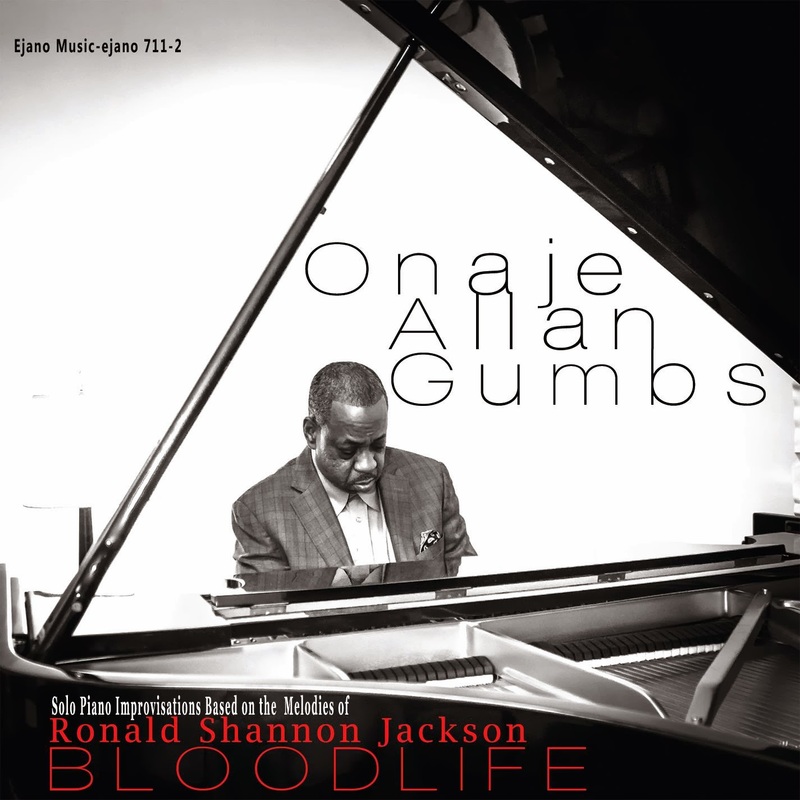 Nothing proves that more than in the solo produced “Ronald Shannon Jackson’s Bloodlife”. Read my accompanying re-blog 2013 piece by Ken Shimamota. An anomalous release in Ronald Shannon Jackson’s discography was his 1984 album Pulse, which consisted of drum solos, spoken word pieces by Jackson and others, and a Jackson composition, “Lullabye for Mothers,” recorded on solo piano by Onaje Allan Gumbs. 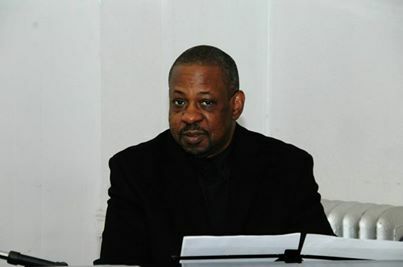 Gumbs, who played keyboards in Jackson’s Decoding Society on 1985’s Decode Yourself, had a friendship with the monumental composer-drummer dating back to the early 1970’s. It was he who introduced Jackson to Nichiren Shoshu Buddhism (after Jackson heard Gumbs chanting “Nam myoho renge kyo” during a frenetic drive through Brooklyn), and the two men studied the religion under the tutelage of bassist Buster Williams. Jackson subsequently met his wife Natalie while performing in a trio with Gumbs and Williams at a Nichiren Buddhist convention in Hawaii. 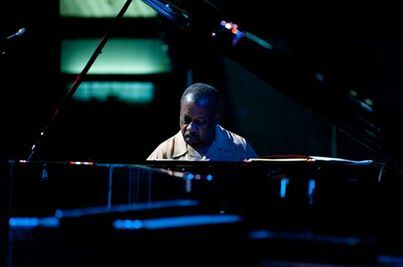 In his notes to the 2000 Knitting Factory re-release of Pulse (as Puttin’ On Dog), Jackson called Gumbs “my mentor.” The keyboardist’s variegated career also includes stints with jazzy R&B purveyors Norman Connors and Phyllis Hyman, post-bop trumpeter Woody Shaw, pioneering rapper Kurtis Blow, and free-jazz bass legend Henry Grimes. In 1985, at the behest of producer David Breskin, Gumbs recorded an album of solo piano renderings of nine melodies composed by Jackson, along with a couple of his own compositions. Since Jackson composed on the flute, Gumbs added harmonies to flesh out the pieces, giving them a lushness and spiritual warmth only hinted at in the notated versions. The master tapes were shelved for 24 years until Gumbs was able to purchase them from Breskin, and now the pianist is releasing them under his own Ejano Music imprint via CD Baby. About Ken Shimamoto-I’m writing an autobiography in record reviews. I blog at stashdauber.blogspot.com. I’ve written about music for publications (hard copy and online) including the Dallas Observer, Fort Worth Weekly, I-94 Bar, First Church of Holy Rock and Roll, Polish Jazz (Poland), Shindig (UK), Funhouse (Italy), and The Big Takeover. Thank you Robert so much for your support.